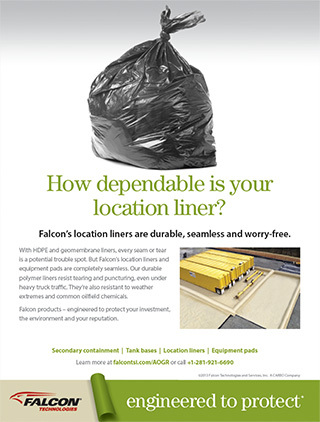 CLIENT: Falcon Technologies helps oil and gas clients protect their wellsites and the environment by providing comprehensive spill prevention and containment solutions featuring a unique and highly durable liner technology. 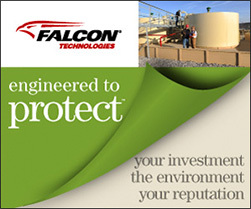 CHALLENGE: Falcon environmental protection products cost more than many of the competition, but the total cost of ownership can be significantly less due to Falcon’s unique spray-on liner technology. This long-term view on cost savings was proving a hard sell for prospects who remain focused on controlling initial costs. 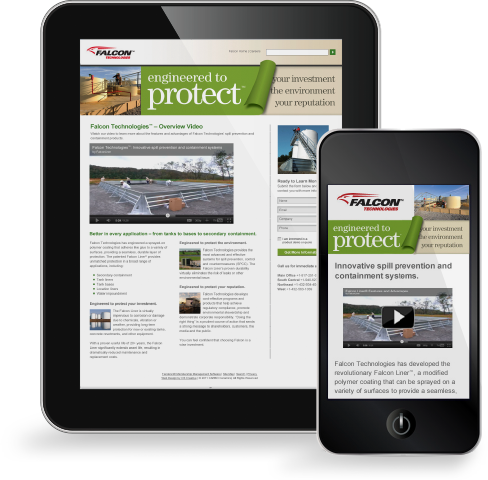 Falcon needed to create awareness and explain the benefits of choosing Falcon products over the competition, despite the greater up front cost. They needed a quick, easy and memorable way to talk about the benefits. They also needed to build a list of qualified prospects. 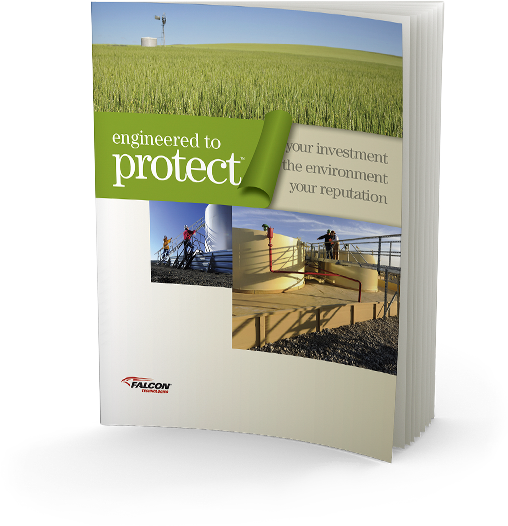 SOLUTION: The theme “Engineered to protect” was created to draw attention to Falcon’s long-term benefits. The theme was introduced with an integrated campaign developed to build awareness and capture leads. 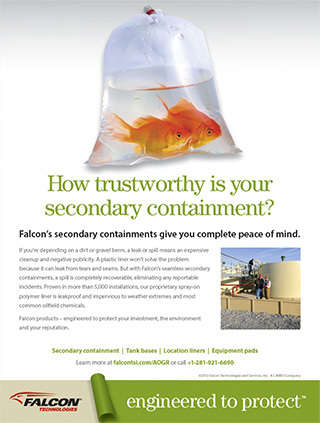 A series of print ads ran in trade publications, with the URL for a landing page that featured an installation video of how the Falcon Liner is applied. Emails linked to the landing page, and online banner ads remarketed to Falcon website visitors. Ongoing marketing included a capabilities brochure, vehicle graphics, direct mail, trade show booth and interactive kiosk.